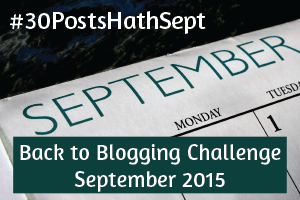 Welcome to Day 28 of #30PostsHathSept. [PLEASE READ all my other challenge posts HERE.] Enjoy! Last night’s full moon was at perigee and at a mere 225,623 miles from Earth. Well within imagination’s distance. Many people, including me, were gifted with a gorgeous full eclipse in brilliant rust-red. The super blood moon. This moon was thus named by being the fourth of a series of similar blood moon eclipses in the past two years. Such an event won’t again be witnessed until 2033. The excitement around the super blood moon reminds me of my previous post on awe. The super blood moon was a unique event and awesome event. We were enchanted. But how many of us will again look in the sky tonight to see our Earth’s offspring orbiting around us, face-to-face? The moon has always been a common symbol throughout history. Feminine in nature, its roundness represents the entire cycle of life: crescent in childhood, full in adulthood, and waning in old age and death. The unique rotation between the earth and moon is felt to represent our two human halves of lightness and darkness and the epic battle for good vs. evil. We are intimately bound to our child, the moon. Our seasons, weather, and tides are all intrinsically linked to the cycle of the moon. 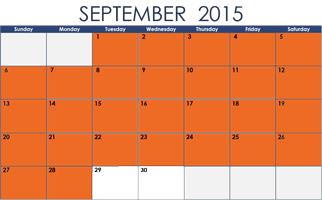 Our calendars and many religious holidays are also bound to the moon. Selene, the Greek goddess of the moon, and the Roman equivalent, Luna, have long been inspirations to artists and poets. Hinduism celebrates Chandra, their lunar goddess. So many cultures have honored moon gods and goddesses, with some of their names including Tarqiup Inua (Inuit), Chia (Columbian), Mama Quilla (Incan), Metztli (Aztec), Iah (Egyptian), Mahina (Polynesian), Tal’lab (Arabian), Sin (Mesopotamian), Mani (Norse), Chang’e (Chinese), Mayari (Philippine), and others. People often attach meanings to specific moons. Wishes of luck, hope, and even cautious premonitions of changes to come. But all the while the moon sits, oblivious to our beliefs, yet protecting our big blue ball, and cycling around us ever on in its eternal dance. “Man in the Moon” is a term used by many cultures throughout history of envisioning images on the face of the moon. The many dark flat lake-like areas separated by the lighter hills and the edges of impact craters produce these images. My favorite moon man comes via George Méliès, who wrote and directed the remarkable silent film A Trip to the Moon in 1902. People have held a deep fascination for the moon since time began. Our closest neighbor, a keeper of fables and mystery, the moon is as essential to our lives as our own planet Earth.